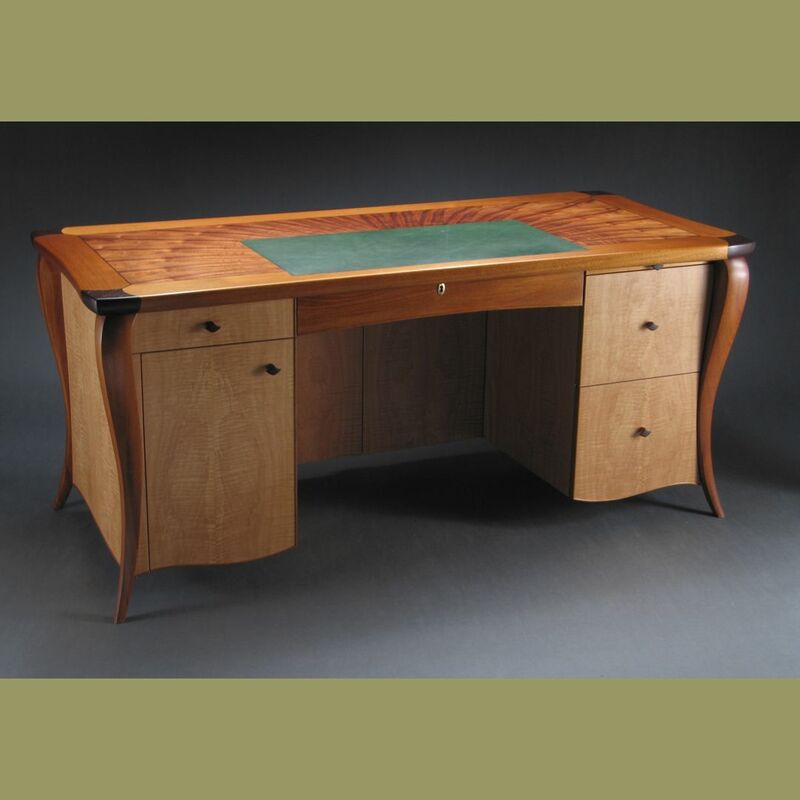 With its flowing lines and contrasting patterns, this custom desk is a wonderful combination of function and beauty. It was designed for an accountant who wanted to neatly contain all her computer equipment. 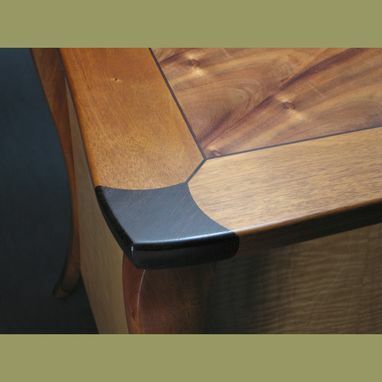 She is Hawaiian, so I chose Koa, a native wood, in a slip-matched veneer pattern emanating from the sitting point. 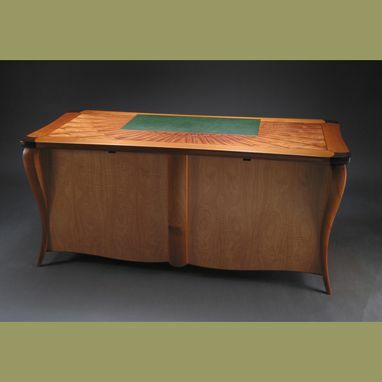 More visual interest is added with dark Wenge stringing and corners that contrast the lighter surrounding woods. Functionally, the computer sits on a pull-out tray for access to the wiring which is hidden behind two doors in the knee space. 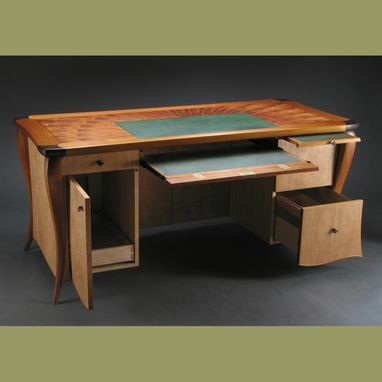 The right side holds two hanging file drawers and a pull-out writing tray, while the center drawer is actually a keyboard tray that can lock all the drawers.